Like Sapa, Moc Chau plateau is in the northern mountainous provinces. 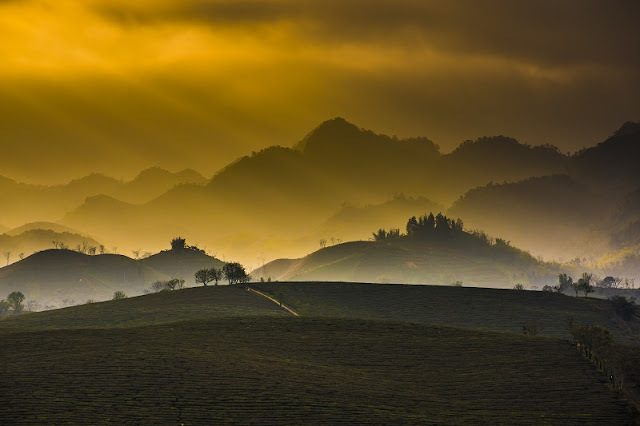 Moc Chau Plateau is in Moc Chau District, Son La Province, about 200 kilometres northwest of Hanoi. Located 1,050 metres above sea level, Moc Chau is a step with green tea hills, the largest and most beautiful fields in the North’s mountainous areas. 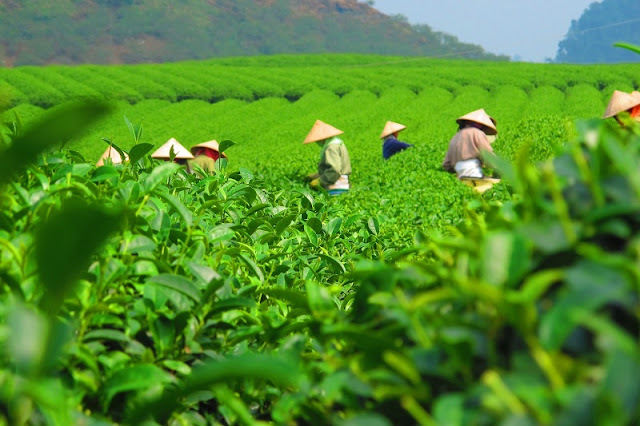 Here tourists enjoy exploring ecotourism destinations, agricultural areas such as tea plantations, dairy farms and strawberry farms, and ethnic villages known for their traditional food and festivals. This is one of the ideal destinations if you feel Sapa is overcrowded in the peak months. There are many ways to travel to Moc Chau plateau, however the best way is travel by car or motorbike. Take the National Highway No. 6 out of Hanoi. From Xuan Mai through Luong Son to Hoa Binh, the road is in quite good condition. International tourism routes will also be established in the next two years, such as Moc Chau to Laos via the Long Sap border gate, which is also expected to connect local tourism destinations with countries such as Thailand and Myanmar. From the end of October to the beginning of November, falling in the early winter of Moc Chau is the time of white mustard flowers gradually coming into bloom. By that time, the locals are preparing to welcome a new image of their mountainous hometown in peace and tranquility. 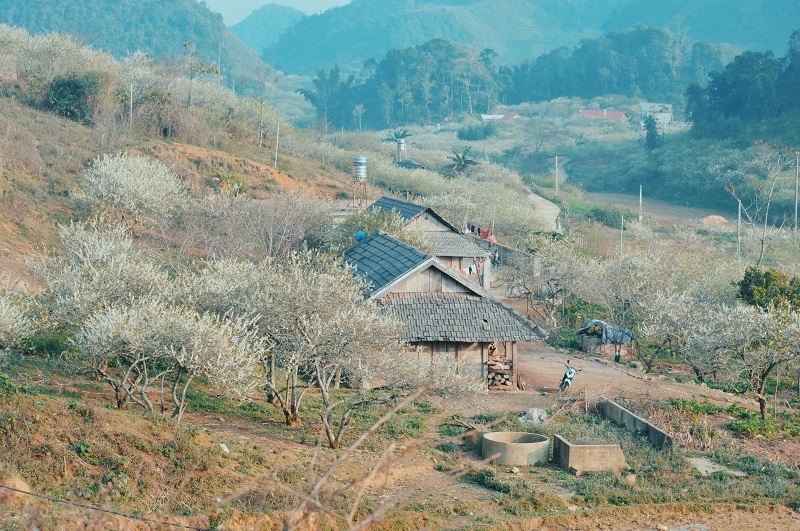 The best time to visit Moc Chau is from October to December when you will be overwhelmed by the white mustard fields and valleys in blossom. It seems likely that the whole mountainous region is covered by while mustard carpets like the background of a few other colored flowers, emerging as an enthralling spectacle of some ethereal wonderland. Some suggestions for you to witness the flowery charm are Ba Phach Village, Thong Cuong Village, and Pipe Hill in Ang Village.